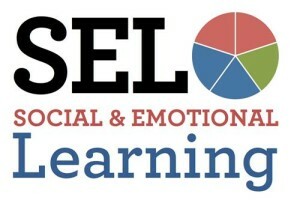 In their October 2015 paper, “What Does Evidence-Based instruction in Social and Emotional Learning Actually Look Like in Practice?”, published on the website for CASEL (Collaborative for Academic, Social, and Emotional Learning), writers Linda Dusenbury, Sophia Calin, Celene Domitrovich, and Roger P. Weissberg identified strategies to promote SEL. You can read their entire paper here, or do a Google search for the paper topic. Lessons should provide explicit, step-by-step instructions on SEL areas such as labeling feelings, coping with anxiety or stress, setting and achieving goals, developing empathy and compassion, communicating effectively, resolving conflict, being assertive, and making responsible decisions. Build the students’ vocabulary of feelings. In preschool, use puppets and discussion to help preschool students label happy, sad, and angry feelings. In elementary school, discuss more complex labels such as “pleasant,” “happy”,’ “irritated,”and “angry.” At the middle and high school levels, discuss mixed emotions. Teach students how to calm down and solve conflicts in a few steps (e.g. stop and take a breath, say how you feel and why, let the other person say how they feel and why, and decide together what you can do). Teach deep breathing and yoga to help elementary students manage anxiety and stress. Read a story and discuss the content to explore different perspectives and the feelings of others. Teach how to begin, maintain, and end conversations. Solicit student input to create classroom rules with positive social norms, such as listening respectfully when others are speaking. Build teacher-student relationships with morning check-ins where students are welcomed by name, and create conflict resolution/peace corners. Create opportunities for students to explore their own interests and develop their own strengths (for example, artwork showing their passions, or essays about their dreams for the future). For older students, use project-based learning and community service to help students develop their own ideas and skills, as well as learn how to get along with others. Read the entire paper to see recommendations for programs which incorporate SEL into academics, and ideas for administrators on facilitating SEL as a schoolwide initiative. 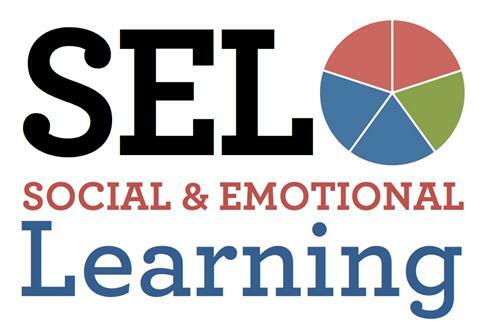 Tagged CASEL, SEL, social emotional learning. Bookmark the permalink.